Be The 1st To Redeem $50 Cash Rebates! Limited-time offer! Get it now! 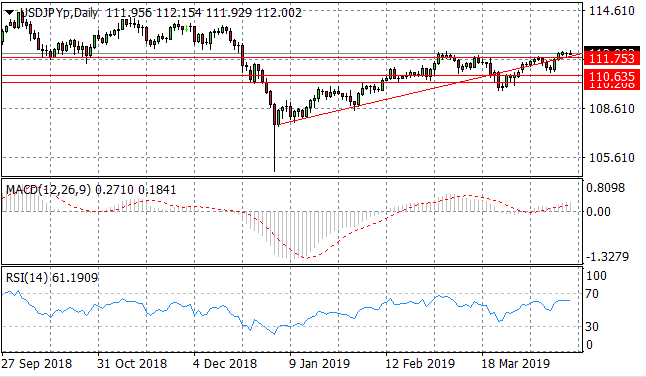 The USD/JPY pair has broken an ascending trendline to the upside as well as the 111.75 price level where price action has stalled. 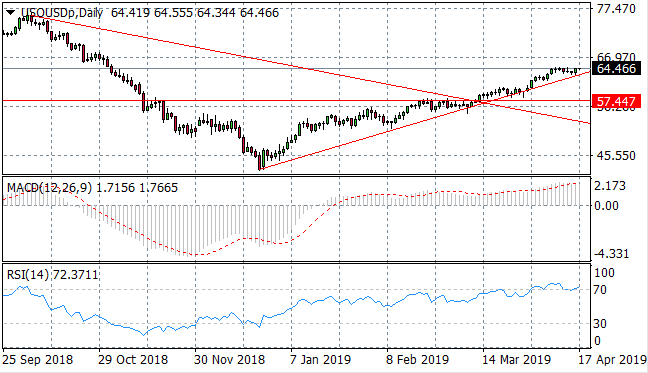 Momentum indicators support the bullish sentiment with MACD breaking the zero line to the upside and RSI continuing a sharp upward trajectory. 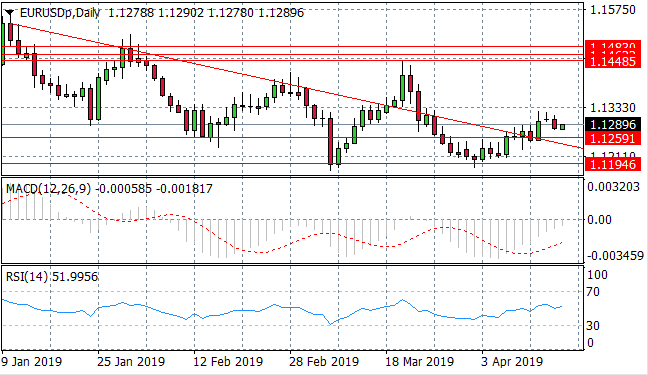 The EUR/USD pair has broken the 1.125 price level and the descending trendline with a strong bullish candle, however the rally has stalled before reaching the 1.132 price level. Momentum indicators suggest that sentiment remains bullish. 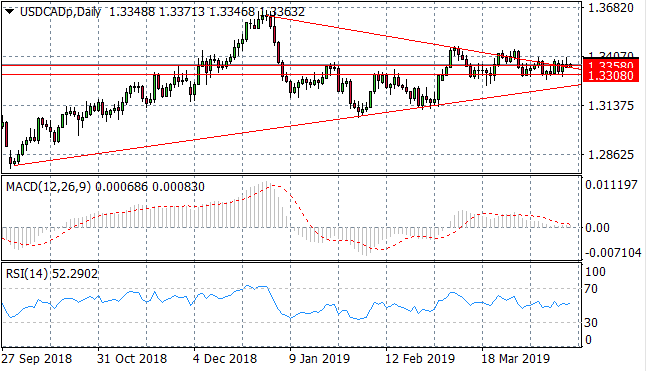 The GBP/USD pair continues to test the ascending trendline, however, on several previous occasions a bullish reversal has ensued once price action reached this support line. A mild break of the trendline could signal a reversal in the uptrend. MACD has broken the zero line, however RSI remains neutral. 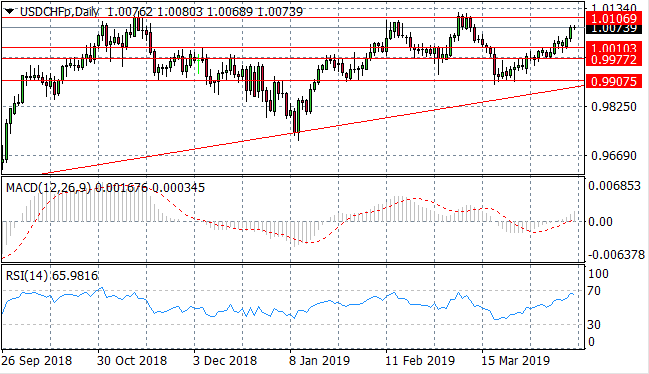 The USD/CHF pair has begun to sustain a rally resulting in a break of the 1.001 resistance line with price action approaching a previous price high at the 1.010 price level. Momentum indicators still support bullish sentiment; with an upward trajectory on RSI and MACD on the verge of breaking the zero line. 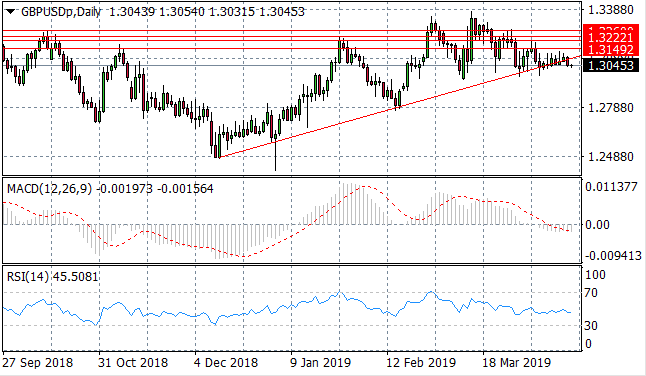 The USD/CAD pair is oscillating closer to the upper trendline with the 1.330 price level representing a support. The pair is also edging closer to the apex which should result in a bullish breakout. Momentum indicators are currently neutral but remain in bullish territory. 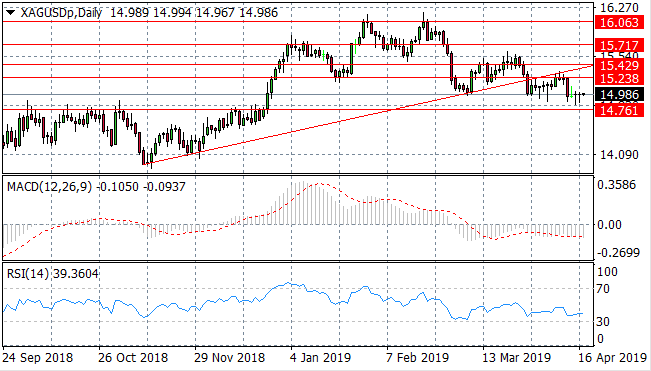 Silver has broken the 15.23 support line and the metal has assumed a new trading range after a recent sell-off. The next target for sellers is the 14.76 price level. Momentum indicators are bearish with RSI stalling above the 30 oversold line. 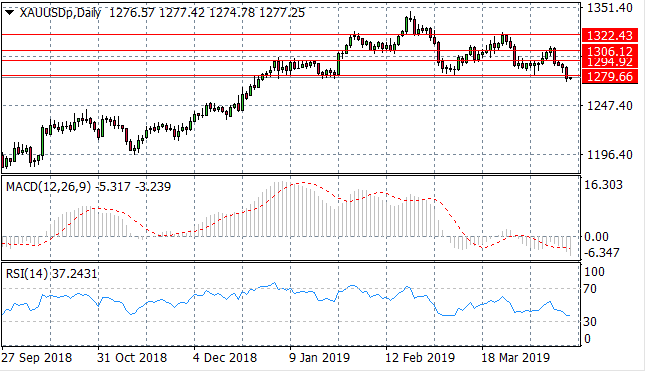 Gold is returning to the 1279.66 price level where on several occasions price action has bounced back in a bullish direction. The trading range between the 1279.66- 1322.43 price levels is likely to remain intact. Momentum indicators remain bearish. WTI buyers are beginning to dominate price action with the ascending trendline acting as a strong support for the commodity. WTI has broken the psychological $60 per barrel range, with the next target of $65 per barrel in sight. RSI is testing the 70 resistance area and MACD is continuing a bullish trajectory.